Good morning! Today Troy continues about the investing for beginners series. In the previous post, we talked about trend following and technical indicators. Technical indicators are used for trend following, and they’re also used for contrarian investing (which is another investment strategy that I will discuss in a future post). 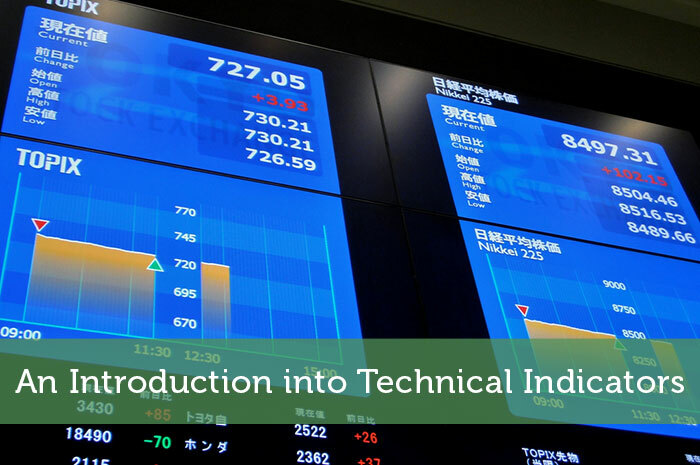 In this post, we’re going to focus on the technical indicators that are most commonly used for trend following. Probably the most common type of technical indicators, moving averages are the cornerstone of any trend following strategy. Like all investment names, the definition of a moving average is exactly what it sounds like – an average of the market price (which is always changing). An X day moving average is created by adding the market’s close price over the past X days and diving that total by the number of days (X). For example, the most common type of moving average is the 200 day moving average (in trading lingo, we call that the 200 DMA). The 200 DMA is created by adding the market’s close price over the past 200 days and dividing that total by 200. The reason why this average “moves” is because as the days go by, we drop the earliest day in this time frame (e.g. 200 days ago) and add the most recent price (e.g. yesterday’s price). The reason why moving averages are some important for trend following is that they smooth out the market’s price fluctuation. Thus, the moving average shows the market’s trend. And as you know, trends are the name of the game for trend followers! Trend following is all about the relationship between a moving average and the market’s price. If the market price is going down, the X day moving average (e.g. 50 day moving average) will also fall. Bu because the moving average takes the average price over the past X number of days, the moving average will remain above the market price. Thus, both the price and the moving average are going down, but the price is below the moving average. The opposite is also true. If the market price is going up, the moving average will go up too. However, because the moving average takes the average price over the past X number of days, the moving average will remain below the market price. Here is a picture of moving averages. 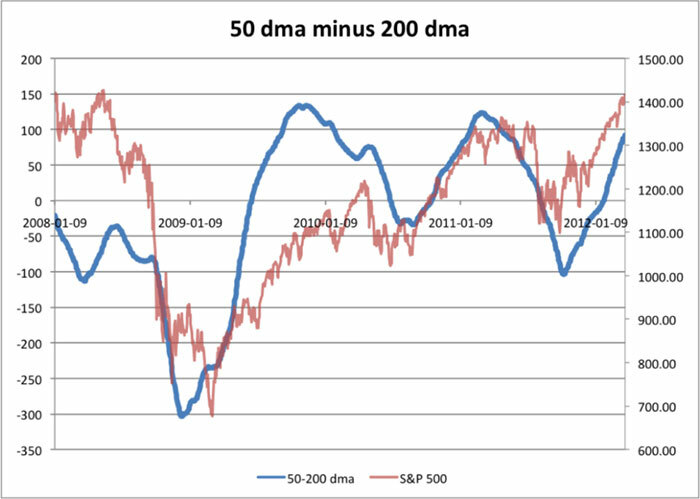 In the above graph, we have 2 different moving averages: the 50 DMA and the 200 DMA. As you can see, the shorter time frame moving average (in this case, the 50 DMA) sticks more closely to the price. The prime use moving averages have for trend followers is that they wait for the price to cross the moving average. If the market price was rising but now it’s falling, that’s a bearish sign. But if the price falls below the moving average, then it’s a new bearish trend is starting. The opposite is also true. Let’s assume that the market was falling. But now, the market starts rising, and it rises above the 200 day moving average. Thus, a typical trend follower will buy stocks because a new bullish trend has formed. MACD (which is short form for Moving Average Convergence Divergence) is derived from moving averages. As I mentioned above, you can create any type of moving average you want. You can create a 5 day moving average, a 50 day moving average, a 200 day moving average, etc. This makes logical sense – the shorter time frame moving average more closely “hugs” the market price. What the MACD does it signal crossovers between the moving average. When the shorter time frame moving average rises above the longer time frame moving average, the MACD signals that a bullish trend has started and it’s time to buy. The opposite is also true.